Want To Sell Your House Fast in Bethany? We are a locally owned, BBB Accredited company that BUYS houses in Bethany. We aren’t your normal, picky home buyers that take 45-60 days to close and ask for repairs and for you to pay their closing costs…. Want to Sell Your Home in Bethany, OK and Get it Sold Fast? You can get cash for your house in as little as 14 days, here’s how. 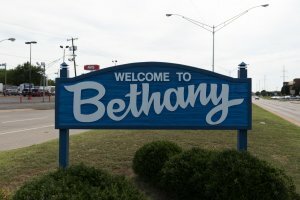 Bethany, Oklahoma is a popular suburb and draws a lot of new residents thanks to the revitalizing economy, its proximity to an attractive downtown area, and the cost of living. Even with those favorable conditions though, homes don’t always sell fast. In fact, homeowners trying to sell in the area are often left playing the waiting game. In addition to a time-consuming process you could wind up paying out of pocket to get your home sold. It’s rare to sell a home as-is with a traditional listing. You can expect to make some kind of cosmetic updates that could cost you $1500 or more. But not with W Properties. Being local to Bethany, we’ve helped numerous homeowners sell their homes fast, with cash offers within 30 days (often in just 14 days.) And because we work with local attorneys, title companies, and contractors we’re able to make the best cash offer on your home, as-is, with no updates necessary. 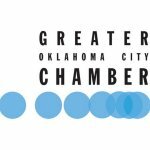 How Long Does It Take to Sell a Home in Bethany, Oklahoma? The cost of living in Bethany is significantly lower than many other places in the US and while it creates an influx of new residents and potential buyers, that doesn’t make the selling process go any faster. It can take several days just to get a listing live, upwards of 60 days or more to get an offer, then almost as long to close. That’s why more homeowners are choosing to sell to an investment company like W Properties. If you’re curious how the process works then start by filling out the form at the bottom. Supply us with basic information about your house and we’ll get back with you within 24 hours to answer any questions you might have. We’re not a real estate agency and we don’t list your home for sale. We buy your house direct for cash. This is the best way to sell a house fast in Bethany, because even the best agent can’t guarantee that your home will ever sell. They certainly have no control over getting your home sold quickly. That’s nothing against agents. Their hands are ties by the marketing they can do and waiting for the right buyer to come along. Why wait for that buyer when you come to us and get a fair cash offer right now? We even buy homes in any condition including homes damaged by storms, water, and fire, probate and inheritance properties, neglected homes and those in serious need of updates. We buy them all. We’ve worked with homeowners in Bethany selling homes for a variety of reasons. In most cases, it’s people like you who didn’t have much luck with a traditional listing or just needed to sell their home fast. 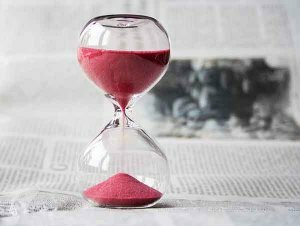 In some cases, they just didn’t want to deal with the hassle of a lot of updates that could delay selling a home by weeks or even months. Are you willing to wait to sell until the costly repairs are completed? Do you have the funds to pay for repairs and updates out of pocket, or do the repairs yourself? Will you be able to handle the wait to sell while paying for mortgage, insurance, etc.? If you want to sell your property in Bethany, OK fast then call or text us today at (405) 673-4901 OR fill out the form below. 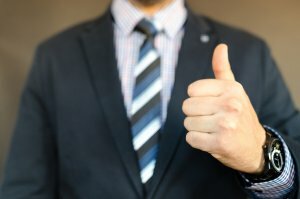 We’ll connect with you right away and get you a cash offer fast.